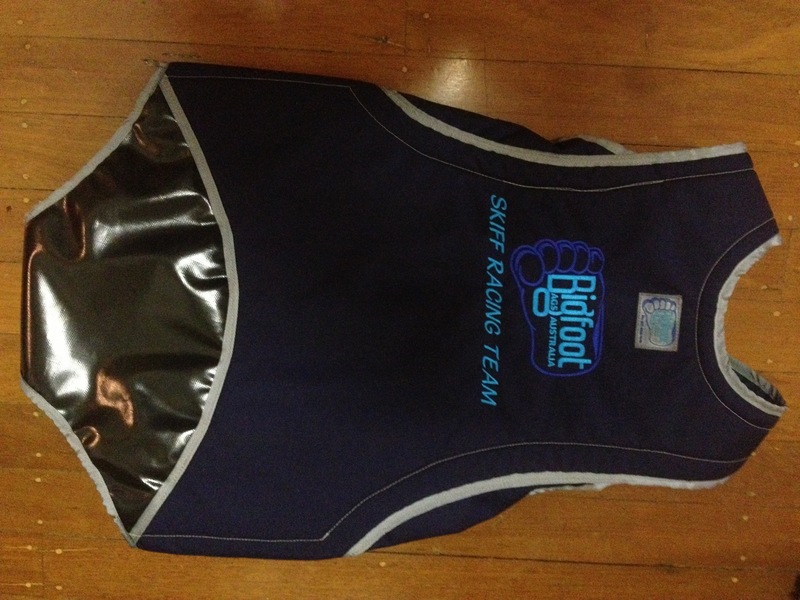 Picked up a new custom made Bigfoot Trapeze Harness and gear bag today ready for my trip to Melbourne this weekend to race I14s in the Black Rock Skiff Regatta 2016. 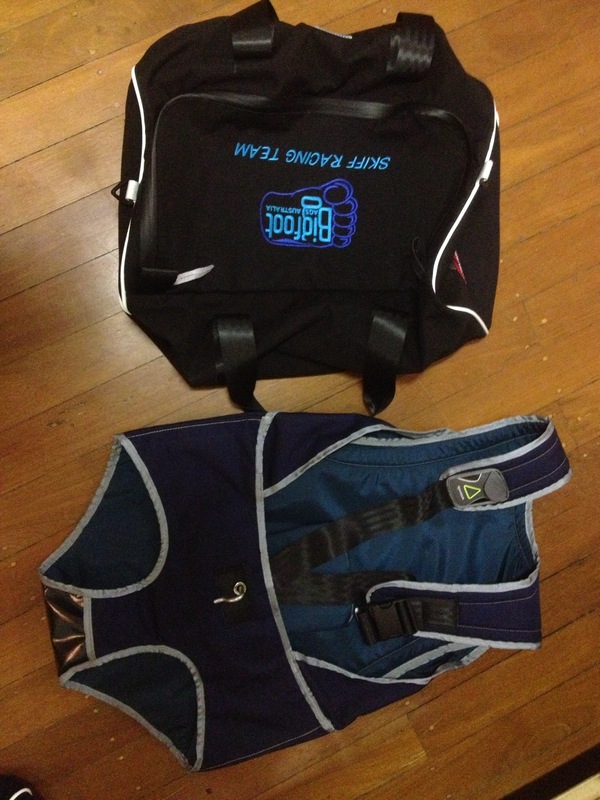 Have a look at this video if you want more info about the Bigfoot tacking trapeze harness. Thanks to Christophe Favreau for the video. 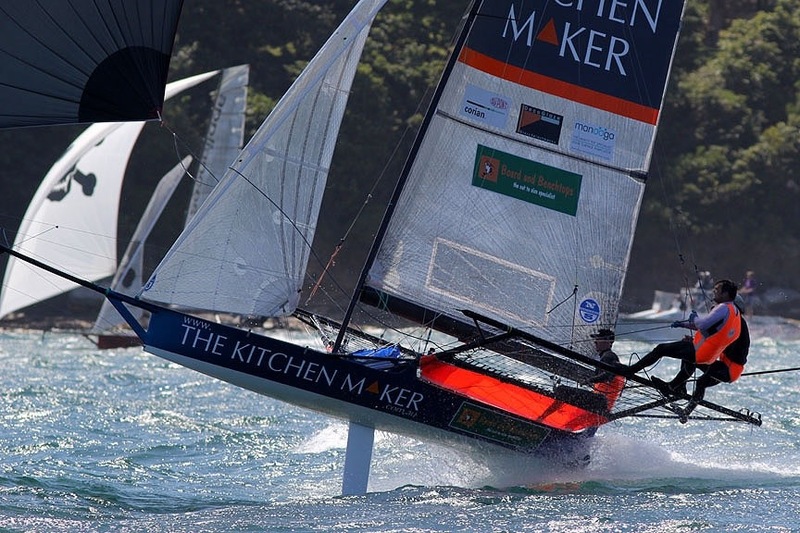 Adrienne Cahalan and Cameron McDonald won the 2016 Australian 12 Foot Skiff Championship sailing Panadol Rapid, a 26 year old Nash3 design skiff. The Pandol team steered clear of the Captain Morgans Rum until after the last race, keeping their time penalties low, by not winning any of the races. Consistent scoring kept them in the game but they went into the final days racing 2 points behind the very well performing Gizmo team of James Birdsall and Ewan Duckworth. Both skiffs were deep in the fleet but sailed well to get into the top 10 finishers in light testing conditions on Sydney Harbour, with the experienced Panadol Rapid team (having just teamed up for the event) keeping a very loose cover over the Gizmo team throughout the race. Adrienne had put the Panadol Rapid skiff on the market before winning the Handicap Title. Get in touch if you are interested in buying a good entry level 12 foot skiff. Here’s a shot showing how to start when you are not the fastest skiff in the fleet (or it probably works if you are the fastest too! ).